Our new Portchester aluminium security shutters are being requested by clients for their properties, including this recent installation in Walton on Thames in Surrey. The customer was very keen to take advantage of the new range, which provides an extra layer of security with the same stylish look of our other ranges. Security shutters do not have to be ugly, in fact most people would be hard pushed to tell that these are not standard shutters! We wrote about them over on this blog post. 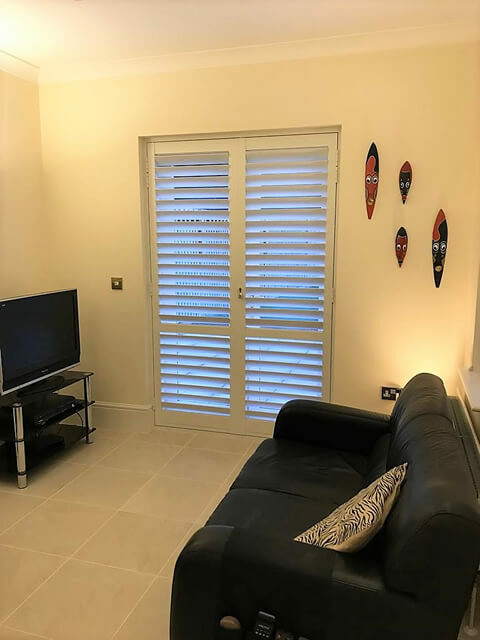 The client wanted the shutters to provide the perfect balance of security and elegant looks, helping to provide better peace of mind against intruders. 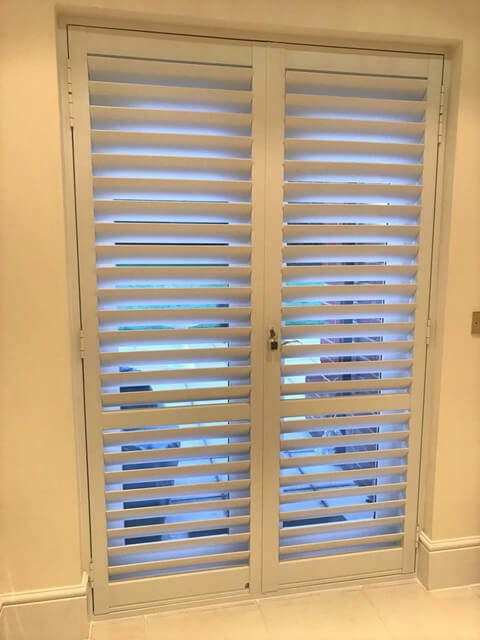 These shutters are available in satin white, charcoal and custom colours, with this installation being carried out with a satin white finish, working wonders with the existing décor. 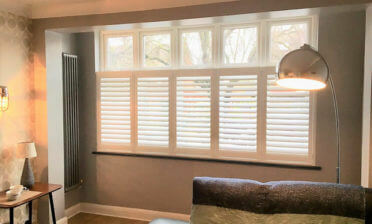 Discussing the styling options with the customer, it was decided on creating these shutters with a modern, minimalist look using hidden tilt rods, thick 89mm louvres and a mid rail one third of the way up, providing strength but also the ability to adjust the top and bottom section of these full height shutters separately. 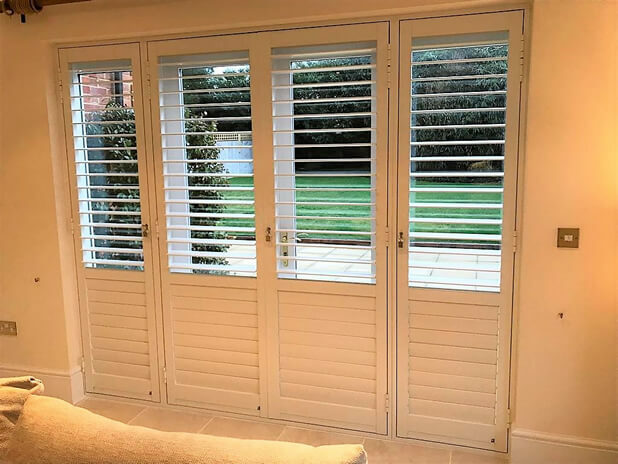 All our aluminium shutters come with double key turn, patented strip-proof Italian locks which in turn operate locking bolts to secure the tops and bottoms of the shutters. 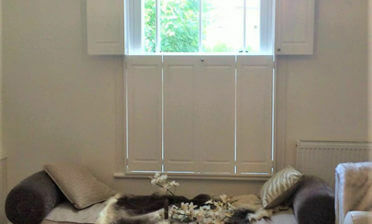 You will find a video on our Portchester Shutters page demonstrating their intruder protection over traditional shutters. 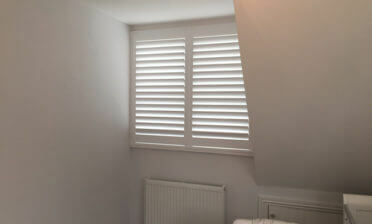 These shutters were expertly designed and installed by Ross, Shaun and Roy for another very happy client!